Arno, from the Auvergne region in France, has made these secateurs since 1927. Arno secateurs are used throughout the vineyards & olive groves of France. 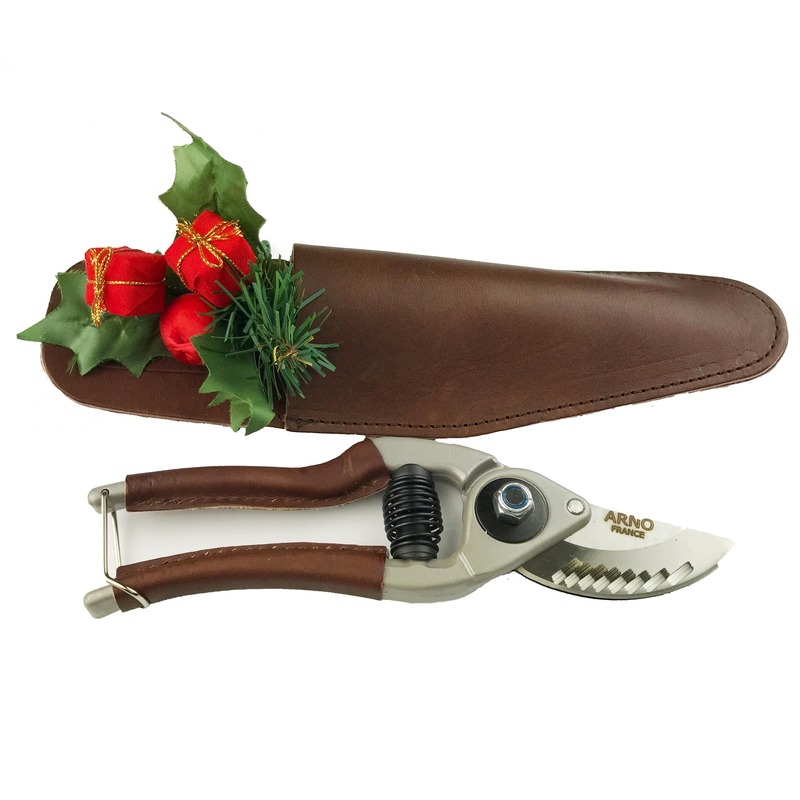 Arno Deluxe secateurs are 20 cms long. The cutting blades and cushioned springs are identical on both sizes. The handles are covered with a quality leather wrap carefully stitched for strong grip and extra comfort. The blades and springs are all replaceable, should they wear out over time and hard use. 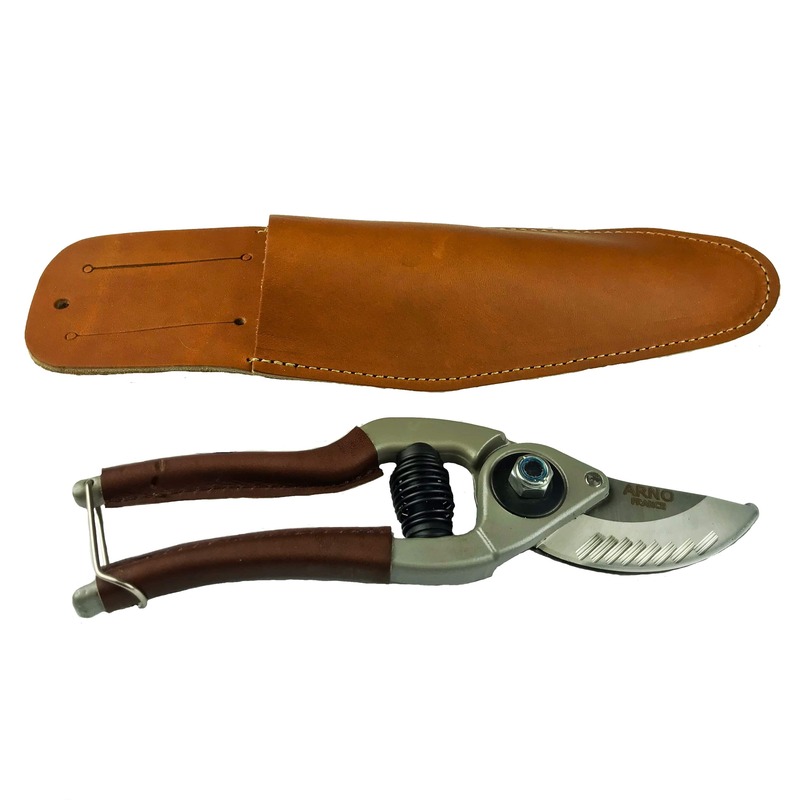 The unique quality of these Arno secateurs is that the blades are grooved for an even cleaner cut, and ease strain on the wrist and hand. Arno secateurs use the bypass cutting action, where the blade bypasses the cutting block or anvil, ensuring a very clean and healthy cut on stems of up to approx 25 mms diameter.